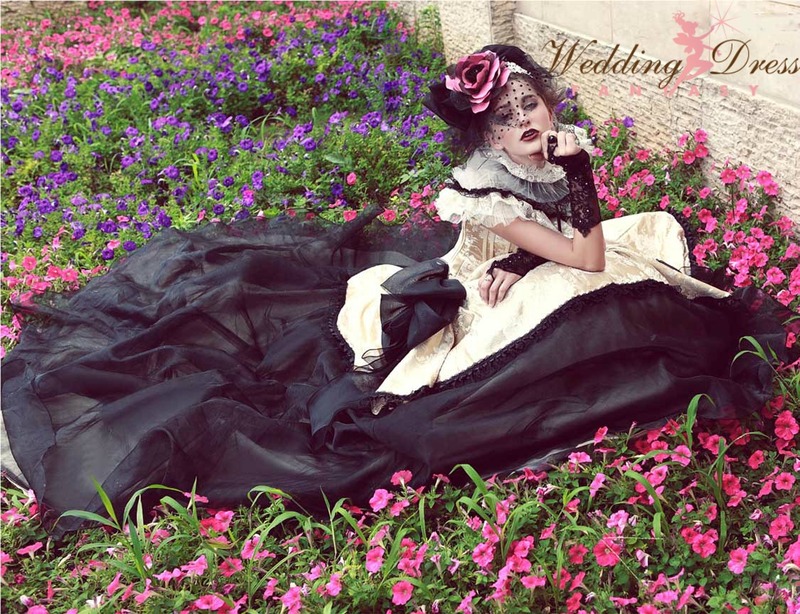 Gothic Wedding Dresses and Gothic Bridal Gowns. Our Gothic Wedding Dresses are made from the highest quality fabrics and available in every color & size. Are you looking for a gorgeous gothic wedding gown that is unlike anything you've ever seen? Create a memorable experience wearing a wedding dress from Wedding Dress Fantasy. We specialize in designing Wedding Dresses that have been featured in Magazines and on TV. We ship our Gowns worldwide. To place your order by phone, please call our Award Winning Bridal Salon at 201-357-4877.